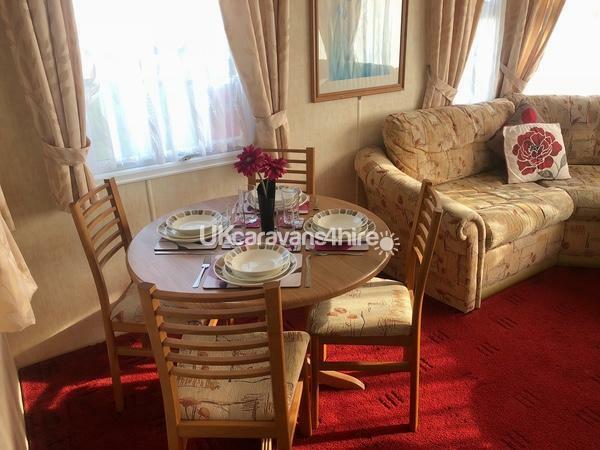 We have a spacious luxury caravan to rent, which is well equipped for 6, at the Kingfisher Site in Ingoldmells. The lounge has a 32 INCH LCD TV with freeview and DVD, plus a sofa where a metal bed can pull out. The kitchen is spotlessly clean and has full size cooker, half & half fridge freezer and a microwave. 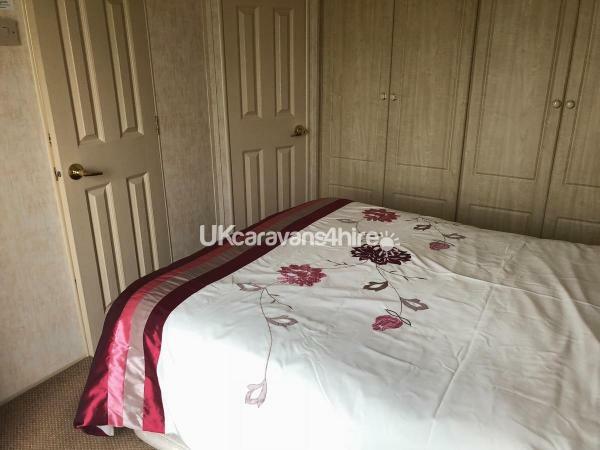 There is a twin bedroom and a large spacious master bedroom with a double bed and plenty of storage. BOTH BEDROOMS BOAST LCD DVD COMBIS. There is a large bathroom that has a very large shower and another door, which leads to the bedroom to make it an en-suite. 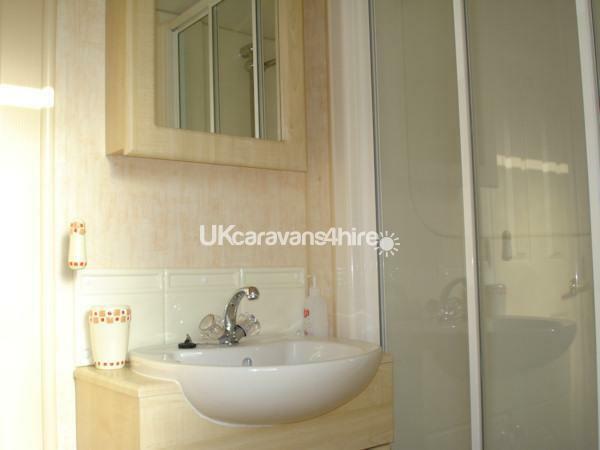 Our caravan is checked and cleaned between each let to ensure a high standard and saves any nasty surprises. We also supply extras such as travel cot, bed guard, highchair, pushchair, bottle warmer and steriliser , iron, hairdryer and games. Caravan also has a washing machine in the shed which is free to use so your not spending your holiday stuck in the launderette. 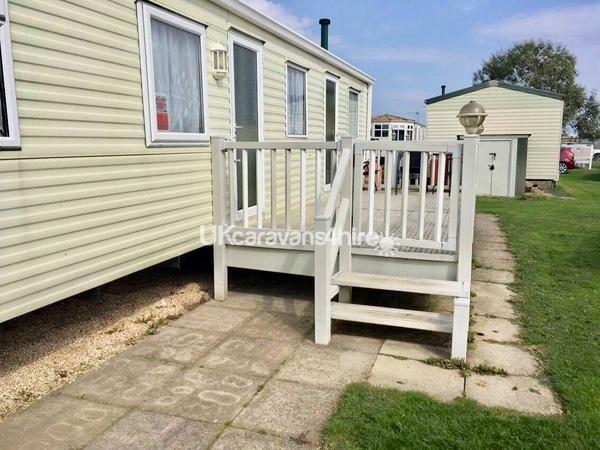 The caravan is sited on a lovely end plot close to the entrance of the Kingfisher Site so everything is right on your doorstep. There is a large gated veranda with patio table & chairs provided ideal for those summer days and also safe for children . A £50 deposit secures the booking. Stayed in this van for a week and wished it had been longer. The van was very clean and tidy and had everything you could have needed. Close to all amenities including shop and kids park, it is just a short stroll to all Ingoldmells has to offer so couldn't ask for anything more. 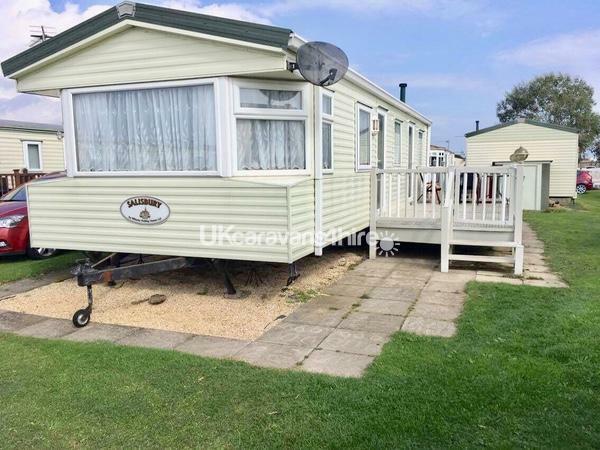 Would definitely recommend this caravan to anybody, thanks for making our week a lovely one ( even weather was fab). 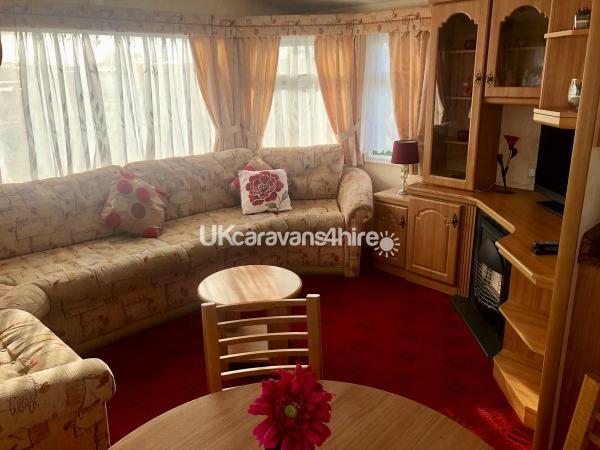 this is the best caravan I have ever stayed in. we were met by the owners who are lovely people, they can't do enough for you. 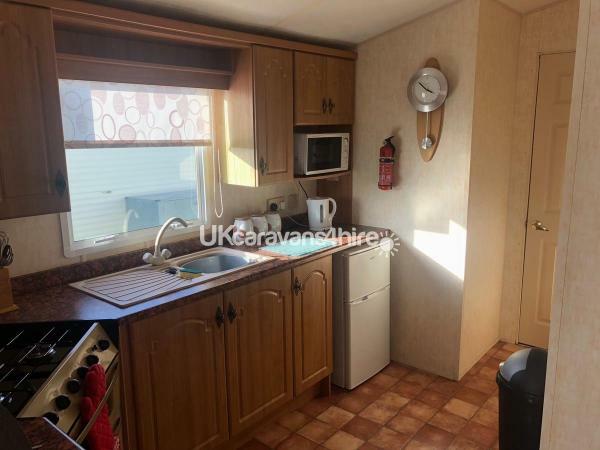 the caravan is in an ideal location with a large verand, just off the main walk through ideal for us with everything within walking distance. we could also people watch from the veranda and watch the train go past. it is close to the park and the shop so could let my older teenager have a bit of freedom too. 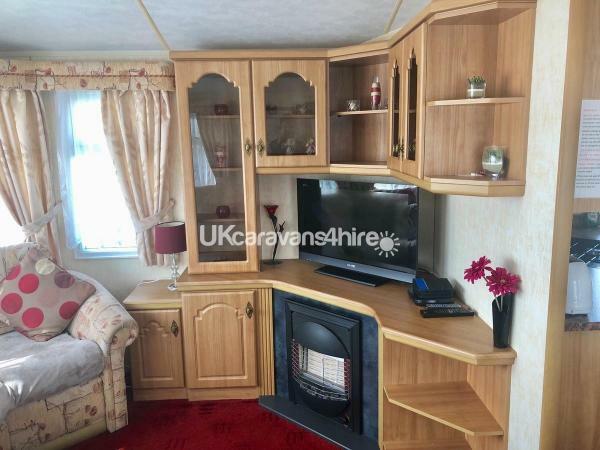 the caravan is immaculate and the owners have thought of everything you could need during the stay. I have booked already for this year and cannot wait. 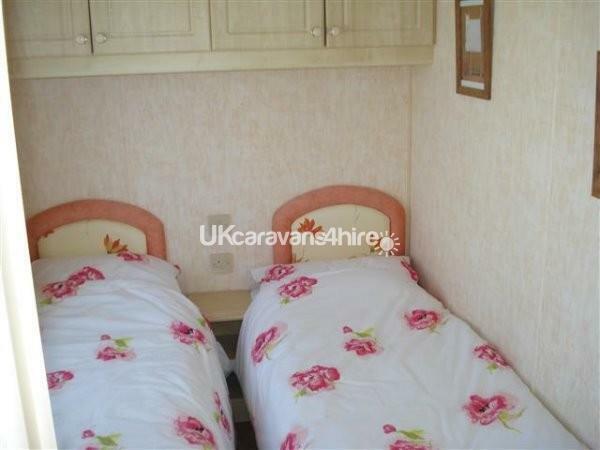 I ma so grateful to this site for helping me find such a perfect caravan holiday.